SERVED WITH FRENCH FRIES AND A PICKLE. SERVED WITH JILLIAN’S OWN BBQ SAUCE. A KID FRIENDLY PORTION OF JILLIAN’S CLASSIC BURGER; SERVED WITH LETTUCE, TOMATO AND ONION WITH FRENCH FRIES AND A PICKLE. A KID FRIENDLY PORTION OF JILLIAN’S CLASSIC BURGER; SERVED WITH LETTUCE, TOMATO AND ONION AND TOPPED WITH AMERICAN CHEESE. SERVED WITH FRENCH FRIES AND A PICKLE. 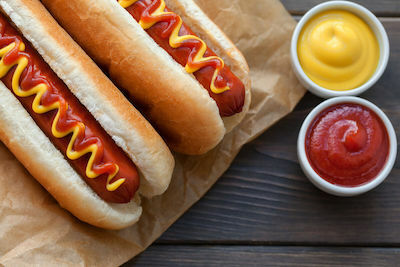 CLASSIC GRILLED HOT DOG IN A ROLL; SERVED WITH FRENCH FRIES AND A PICKLE. ALWAYS A FAVORITE FOR THE KIDS!